Adam J. Houck recently received advanced level training, from the American Association of Premier DUI Attorneys, on how to use fatigue and drowsiness to fight DUI cases. Adam received training on the how drivers arrested and prosecuted for being under the influence of alcohol and/or CNS Depressants can easily be misdiagnosed and wrongfully arrested for DUI when they were simply fatigued or drowsy at the time of the incident. The information in this training was provided by Adam Pollack. Mr. Pollack is an AAPDA Executive Member of the Association. Mr. Pollack’s office is located in Orlando, FL and his website is http://orl-law.com/. 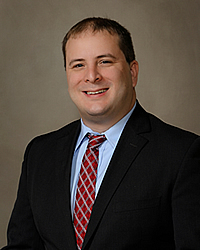 Adam J. Houck has practiced law at Adams Rizzi & Sween law firm in Austin, MN since 2012. Adam is a graduate of the University of Minnesota Law School. Prior to law school, Adam obtained his B.S. and M.Ed. degrees from the U of MN. From 2010-2012, Adam worked in criminal defense at the Neighborhood Justice Center in Saint Paul, MN. While at his current position in Austin, Adam has worked in DUI/DWI defense and as a general practitioner providing a variety of legal services to his valued clients. Adam serves clients in all areas of Southeast Minnesota including Rochester, Austin, Albert Lea, Owatonna, and Faribault.